Gladbacher Zinc Company Browne & Co., Köln, 1853, Aktie, 1.000 Frcs. = 40 £ stg. 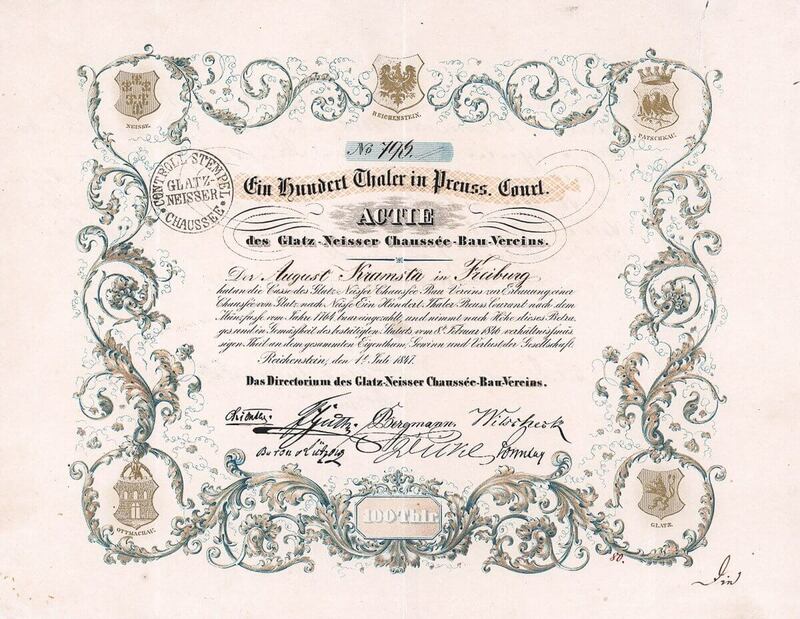 Grand Duchy of Baden Chartered Native Silver and Silver Lead Mines, London, 1852, 5 shares, à 5 £ stg.